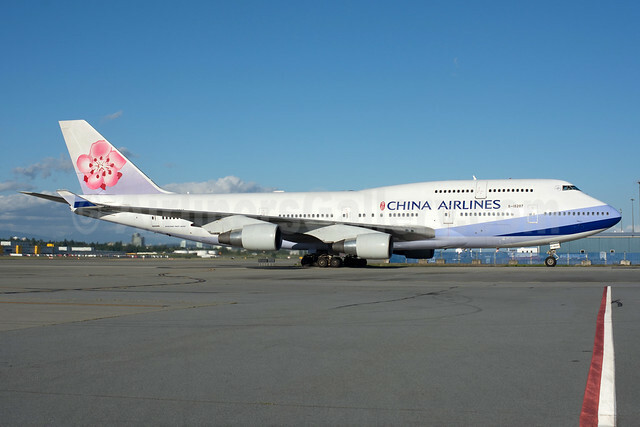 China Airlines Boeing 747-409 B-18207 (msn 29219) YVR (Rob Rindt). Image: 934211. 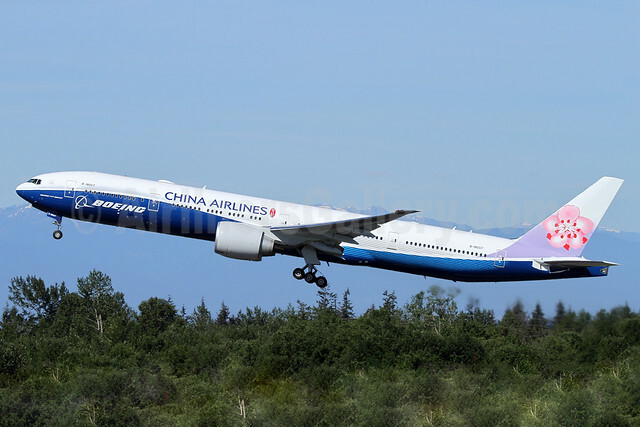 Copyright Photo: China Airlines Boeing 747-409 B-18207 (msn 29219) YVR (Rob Rindt). Image: 934211. China Airlines Boeing 777-36N ER B-18053 (msn 41845) LAX (Michael B. Ing). Image: 933817. 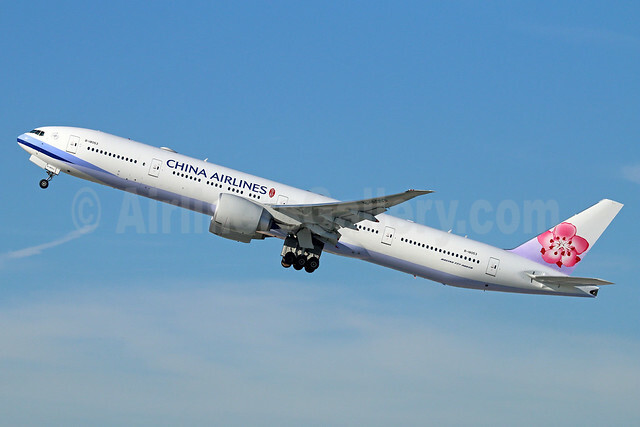 Copyright Photo: China Airlines Boeing 777-36N ER B-18053 (msn 41845) LAX (Michael B. Ing). Image: 933817. China Airlines Boeing 777-309 ER B-18007 (msn 43982) (Boeing special colors) PAE (Nick Dean). Image: 932888. China Airlines Airbus A330-302 B-18355 (msn 1177) (Welcome to Taiwan) TSA (Manuel Negrerie). Image: 926064. 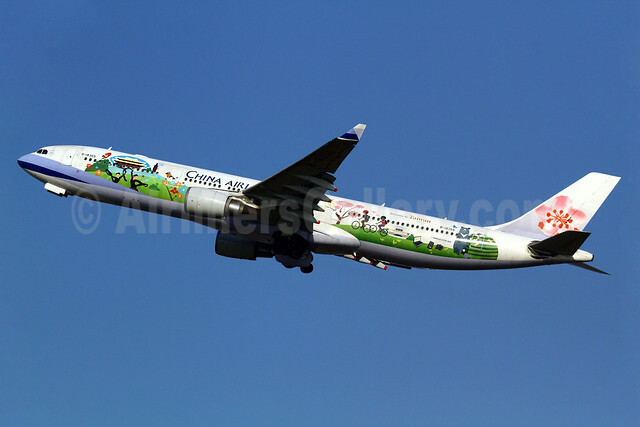 Copyright Photo: China Airlines Airbus A330-302 B-18355 (msn 1177) (Welcome to Taiwan) TSA (Manuel Negrerie). Image: 926064. China Airlines Airbus A330-302 B-18311 (msn 752) (SkyTeam) TPE (Manuel Negrerie). Image: 908858. 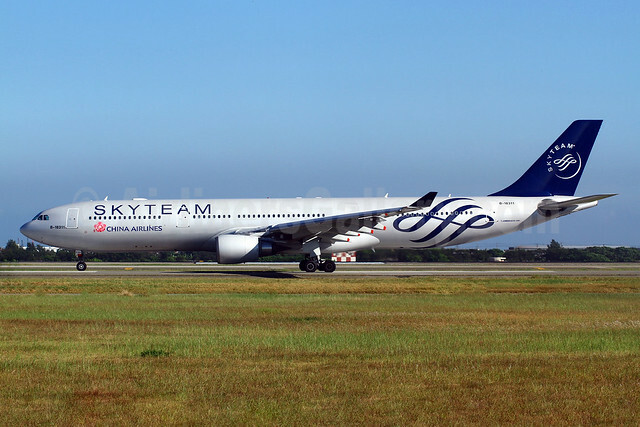 Copyright Photo: China Airlines Airbus A330-302 B-18311 (msn 752) (SkyTeam) TPE (Manuel Negrerie). Image: 908858.